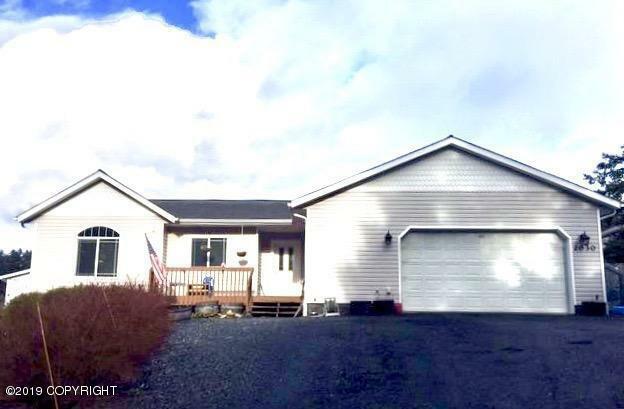 2030 Beaver Lake Drive, Kodiak, AK.| MLS# 19-4814 | RE/MAX of Kodiak - Alaska Real Estate - "Honesty & Integrity...It's That Simple!" Beautiful Family Home Featuring Large Open Floor Plan with Vaulted Ceiling in Main living. Home is 5 Star Plus Home! w/ 4 BR, 2 Full Baths, In-Floor Radiant Heating, Newer SS Kitchen Appliances, New Carpet in All BR and Freshly Painted Interior, Hardwood Laminate Flooring in Main Living Areas, Tile in Entryway, Baths. Attached 2 Car Garage. Outside features Ample Parking w/ gravel parking pad Fire Pit Area and so much more. Garage with Workspace and Custom Built Shelving Storage as well as Overhead Retractable Storage Unit. Insulated Crawl Space Perfect for Storage along with 8x12 Shed and Rubbermaid Utility Closet. . Front Deck and 12x16 Back Deck. Raised 8x8 Garden Bed, Blueberry, Salmonberry, and Russianberry bushes surrounding property along with Plentiful Rhubarb Plants! Directly Across from Beaver Lake, ATV Trails and Hiking! Quiet, Family Neighborhood in the East Elementary School Zone. Conveniently located in town but with a Peaceful, Secluded Lake Front Ambiance!